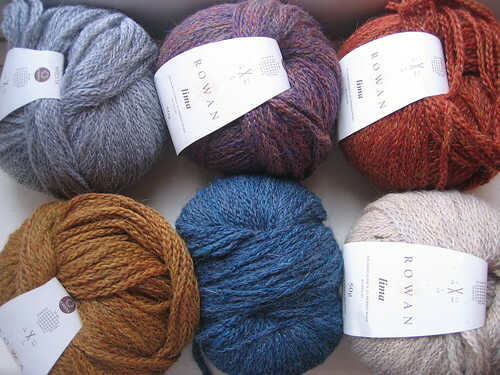 When I went to London a few weeks ago, I bought some Rowan Lima to make a blanket ready for No2 when they come along. It’s incredible stuff – light and fluffy (because it’s chained) but it’s also going to be lovely and warm because of all the alpaca in it. 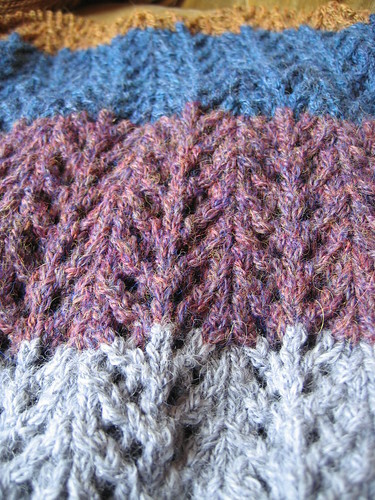 I couldn’t pick just one colour, so I ended up with 6, and I’m making a striped version of Pine Forest Baby Blanket (Ravelry Link).